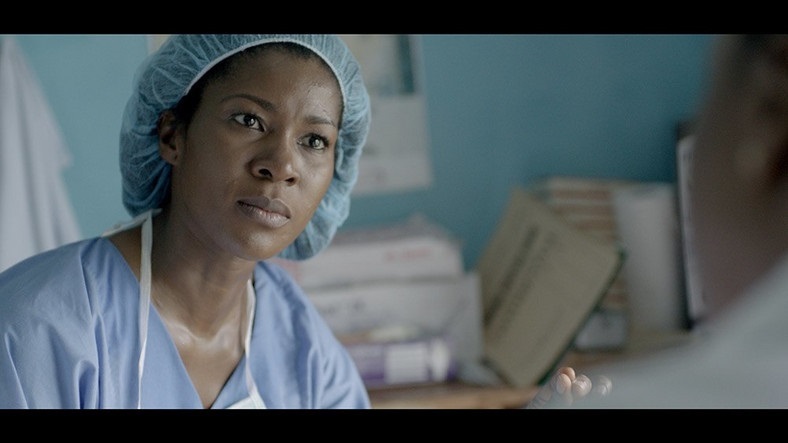 Since released in 2014, Stephanie Linus’ first filmmaking effort Dry has cemented itself as a relevant entry in the Nollywood social commentary canon. In October last year, the movie was screened at the Ray Charles Week, held at the Dillard University in New Orleans, Louisiana, USA., wherein Linus also gave a lecture. This year, the movie has been slated to screen at the Pan African Film Festival which will open today 7 Feb 2019 – Mon, 18 Feb 2019, in Los Angeles, California. This will be the second time the movie will be screening at the festival. In 2016, Dry won Best Narrative Feature at the PAFF. Inspired by the true story of a young girl named Aisha, Dry is a resonating commentary on child marriage in the North, girl-child education and lack of healthcare infrastructure. Linus stars as Dr. Zara, who sacrifices a lot in a small Northern community and whose trauma from her childhood re-echoes into her adult life. Also, Linus was recently recognized at the first ever Blacks In Cinema presentation on Tuesday. The actress hasn’t starred in a recent movie though, focusing on her reality show Make Me Fabulous where she fixes the marriages of couples or something.